Below are several good general interdisciplinary databases that are useful when searching for articles about global themes and issues related to continents and individual countries. Excellent source for foreign and domestic newspapers; includes US TV news and NPR transcripts. Full text access to information in the reference, business, medical, and legal disciplines. Coverage includes newspapers, magazines, wire services, federal and state court opinions, federal and state statutes, federal regulations, and SEC filings. Excellent starting point for most researchers. EBSCO's key scholarly database covers all disciplines and provides PDF backfiles to 1975, full text for over 4,700 journals, and indexing for 8,175 publications. Full text of the world's most comprehensive reference product, includes more than 72,000 articles; over 10,000 illustrations, including photographs, drawings, maps, and flags; over 130,000 links to Web sites selected, rated, and reviewed by Britannica editors; and and more than 75,000 definitions -- including pronunciation guides and word histories -- from Merriam-Webster's Collegiate Dictionary. The Columbia Gazetteer is a database of names, descriptions, and characteristics of over 165,000 places in the world. It is searchable by name of place and type of place, or can be searched by any word found in the database. JSTOR is a multidisciplinary online archive of academic journals in all fields, which generally become available here 3-5 years after publication. Most articles have an economic, political, or historical focus. Includes over 55 sources related to Africa and the Middle East. The databases below are useful when searching for Global Studies topics and articles related to arts and humanities in the REES countries. The country, theme or topic you select may affect the databases you choose. You can find additional databases by checking Databases by Subject or suggested REES Databases. The American Bibliography of Slavic and East European Studies (ABSEES) covers North American scholarship on East-Central and Eastern Europe and the former Soviet Union. It contains bibliographic citations for journal articles, books, book chapters, book reviews, dissertations, and selected government publications since 1990. The bibliography is currently based at the University Library of the University of Illinois at Urbana-Champaign. ABSEES is compiled under the auspices of the American Association for the Advancement of Slavic Studies (AAASS) and with the support of the National Endowment for the Humanities, the U.S. State Department's Title VIII program, and the International Research and Exchanges Board (IREX). Features a collection of over 350,000 primary works of poetry, drama and prose with complementary reference materials and literary criticism. Also included is The Annual Bibliography of English Language and Literature (ABELL) literary index and 20,000 author pages. The Literature Resource Center is a complete literature reference database. Rich in biographical, bibliographical, and critical content, and also provides access to Merriam-Webster's Encyclopedia of Literature (EOL), which comprises over 10,000 descriptive entries for authors, works, literary landmarks, literary and critical terms, mythological and folkloric figures, fictional characters, literary movements, and prizes. Draws its current content from more than 375 international music periodicals from over 20 countries, and also indexes feature music articles and obituaries appearing in The New York Times and The Washington Post. Draws its current content from more than 130 international performing arts periodicals from 9 countries, and also indexes feature performing arts articles and obituaries appearing in The New York Times and The Washington Post. Use these quick links to access lists of related databases, the listing of e-journals, or to access library services from off-campus. Search for online books and articles in Google Scholar. 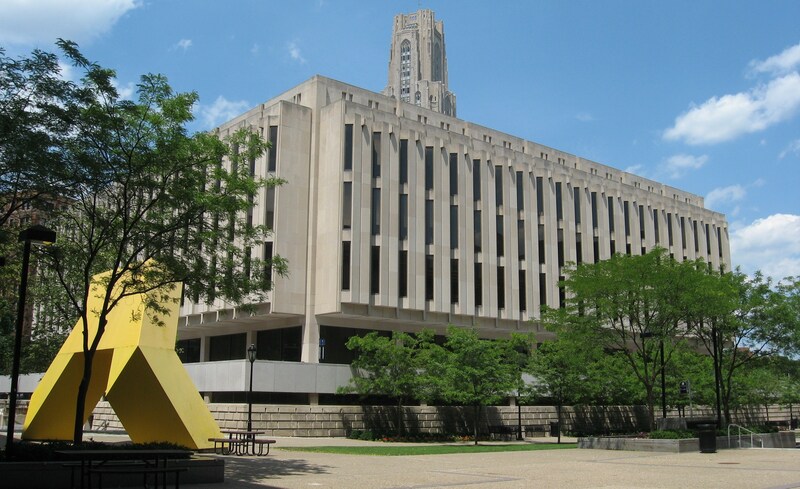 Browse the A-Z list of electronic journals available at the University of Pittsburgh or search for a title and click the link to access it. The databases below provide articles about cultural, social, economic, and political issues related to REES countries. The country, theme or topic you select may affect the databases you choose. You can find additional databases by checking Databases by Subject or suggested REES Databases. The Armed Conflict database provides information about armed conflicts worldwide. It also provides information about terrorism, refugees, displaced persons, fatalities, costs, and historical background. Provides business and industry content including about 1200 separate INDUSTRY PROFILES, about 200 country profiles, rankings, SWOT, market share, company profiles, country, company and industry comparison charts, and much more. If you search by company name, there will be a tab labeled INDUSTRY that will link to related industry reports. You can also search by keywords that describe the industry. This definitive scholarly business database (with citations back to 1886) covers all aspects of business and management - from economics and finance to accounting and human resources. Includes Datamonitor reports, financial data, books, monographs, major reference works, book digests, conference proceedings, case studies, investment research reports, industry reports, market research reports, country reports, company profiles, SWOT analyses. CIAO is a comprehensive database for theory- and research-based sources in international affairs. This database includes working papers, conference proceedings, policy briefs, and information about economic indicators. CountryWatch provides up-to-date information and news on the countries of the world, as well as a political and economic survey for each of the country. Good source for the latest political, economic, corporate, and environmental news on a country as it occurs. EconLit is a comprehensive, indexed bibliography with selected abstracts of the world's economic literature produced by the American Economic Association. It includes coverage of over 400 major journals as well as articles in collective volumes (essays, proceedings, etc. ), books, book reviews, dissertations, and working papers licensed from the Cambridge University Press Abstracts of Working Papers in Economics. HRAF is an acronym for Human Relations Area Files, a non-profit institution founded in 1949 at Yale University. HRAF is a consortium of educational, research, and cultural organizations, and government agencies. This database indexes its collection of ethnography by culture and subject. Focuses on the impact of gender across a broad spectrum of subject areas including business, education, literature, the arts, health sciences, history, political science, public policy, sociology and contemporary culture, gender and women's studies. Publications include academic and scholarly journals, magazines, newspapers, newsletters, regional publications, and some books. Focuses on the relationship between human beings and the environment. Comprised of scholarly and general interest titles, as well as government documents and reports, GreenFILE offers perspective on the positive and negative ways humans affect the ecology. Covering all aspects of the past and current state of military affairs. Key subjects include socioeconomic effects of war, governmental policies, the structure of armed forces, and many more. OECD material covers economic and social issues from macroeconomics, to trade, education, development, and science and innovation. OECD iLibrary comprises 20 Book collections by theme, containing ALL OECD monographs and reports published since 1998 (over 1500 titles), 24 periodicals, and the OECD statistical databases. PAIS contains over half a million records on political, social, public policy issues from 1915 to date including journal articles, books, government documents, and publications from international agencies. Publications from over 120 countries are represented in this database. PASSPORT (formerly GMID) contains demographic data for many countries, including many REES countries, on population, employment, literacy, government spending, trade, consumer market sizes, market forecasts, consumer lifestyles, companies and brands, and business information sources. Some countries will have more extensive statistics than others. PolicyFile provides comprehensive coverage on nearly all public policy issues, including nuclear proliferation, trade, and terrorism. PolicyFile draws content from public policy think tanks, university research programs, and research organizations. This database is a dictionary of entries on world leaders, cities, and institutions. It includes SOME city data and profiles, lots of country info, statistics and narrative (Tokyo, Bombay, Chicago…). This database, published by ABC-CLIO, provides citations, abstracts, and indexing of the international serials literature in political science and its complementary fields, including international relations, law, and public administration and policy. ABYZ News Links is a portal to online news sources (newspapers, broadcast stations, internet services, magazines, and press agencies) from around the world. A good source for current news from the viewpoint of that country. The EastView database includes searchable full text articles from over 30 currently published Russian newspapers. These databases, produced by the U.S. government and the United Nations, provide a wealth of information about Russia and REES countries including statistical information. Access UN provides access to documents and publications of the United Nations, including bilateral and multilateral treaties. This database contains declassified government information on a variety of subjects including Russia, USSR, Iran, Iraq, Afghanistan, nuclear non-proliferation, and terrorism. Foreign Broadcast Information Service (FBIS) is a collection of English-language transcriptions of media content from around the world collected by the United States' intelligence community between 1941-1996, including extensive information on Russia and the former USSR countries from the 1970s and 1980s. UNBISnet is the primary index to United Nations documentation published since 1979 (or earlier for selected major documents) and indexed by the Dag Hammarskjold Library or the Library of the UN Office in Geneva. It includes the catalogue of the non-UN collections of both libraries and also provides access to detailed voting records of resolutions adopted by the General Assembly and the Security Council. The United Nations Official Document System (ODS) supplies copies of documents published by the United Nations. Full text is available for all documents published since 1993 and select documents published from 1946-1993. Google Scholar is often helpful for finding scholarly articles on your topic. If you are on-campus, you will be able to view articles located in databases leased by the university. If you are off-campus, you may need to access the articles through remote access. See the instructions for connecting from off-campus on the ULS homepage.